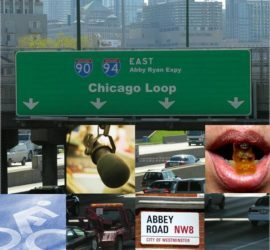 Abby Ryan is a recognized voice on Chicago radio and has been for over 20 years. Meet Abby's family and learn about what she loves most. 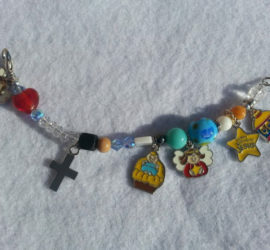 Own a piece of Abby's original handiwork. Abby Ryan has spent her entire 22-year career in “Sweet Home Chicago.” It all began when she took Radio & TV classes for fun at Thornridge High School in south suburban Dolton, Ill. Abby is grateful for her exposure to radio in high school and loves that she walked the same halls as Thornridge’s famous alums—actress Jane Lynch of Glee, NBA Basketball star Quinn Buckner, and Chicago Sun-Times columnist and film critic Richard Roeper. Abby enjoys the outdoors, cooking, and making jewelry. She loves spending time with her husband, daughter, and baby with fur.